The annual Snowbird Fest provides the ideal setting for in-person networking for property owners and businesses targeting winter travelers. Thousand of snowbirds attend the annual event, which grows each year. Held at the onset of the season, it provides businesses a prime opportunity to market services available the length of a snowbird's stay, insuring an exceptional return of investment. 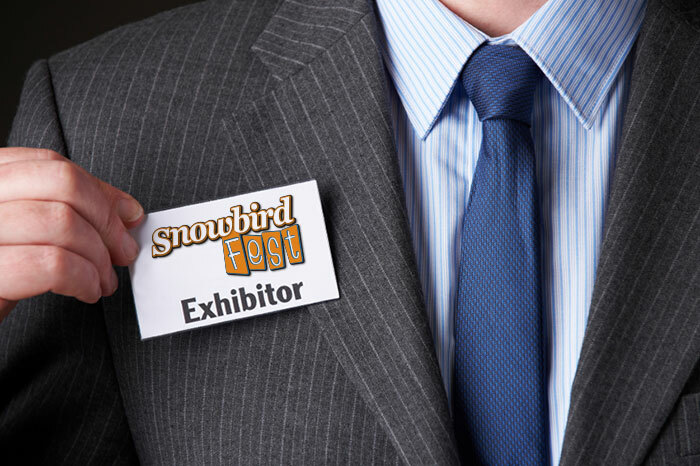 As the event grows, exhibitor space becomes more limited, requiring The Snowbird Company to restrict the number of booths available, so register your booth today! Nearly half of all snowbirds will vacation for three months, generating long-term winter income for property owners, retail stores, property and resort managers, restaurants, healthcare providers, entertainment (golfing, fishing, sailing), real estate professionals and more! Click HERE for an online registration link. Advertise. Not just in-person, this one event, but also online and print year-round. 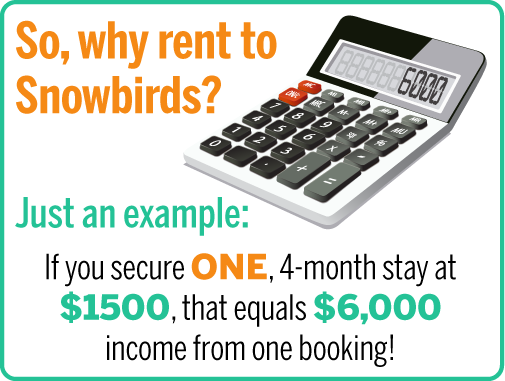 The annual Snowbird Fest is produced by The Snowbird Company, the largest conglomeration of rent-by-owner websites targeting winter travelers. In addition to event advertising, other marketing opportunities include online, print and email. These advertising opportunities facilitate your need to fill your business with customers during the off-season. Banner ads and digital display ads are also options available on our network of snowbird websites, starting at reasonable monthly rates. These ads are ideal for property and resort managers as well as individual business owners looking for more visibility during this otherwise slow season of the year. Print: The Snowbird Newsletter is our printed publication distributed at Snowbird Fests, trade shows as well as newsstands and the Chamber of Commerce. The newsletter contains a complete listing of all our winter vacation rentals across the entire snowbird online network. In addition, the newsletter contains stories and articles targeting the snowbird lifestyle.